If you’ve got hearing aids, you should be able to hear, right? When they aren’t working properly, it can be downright infuriating—it’s a total “You had ONE job” situation. The good news is, with regular upkeep, your hearing aids should be up to the job. While hearing aid batteries have gotten dramatically smaller and lifespans are improving, we’re not yet at the point of having battery-free hearing aids. That means that for now, it’s important to keep up with your hearing aids’ batteries. If it seems like the sound is fading or cutting in and out, battery issues are likely. A battery tester is a worthwhile investment, especially if you like to stock up. Even if you keep batteries sealed until you need to use them—always a good idea—they have a limited shelf life, and so the last batteries in that giant pack you bought months ago likely won’t last as long as the first few did. Another trick: Wait five minutes after you open new batteries before you put them in your hearing aids. 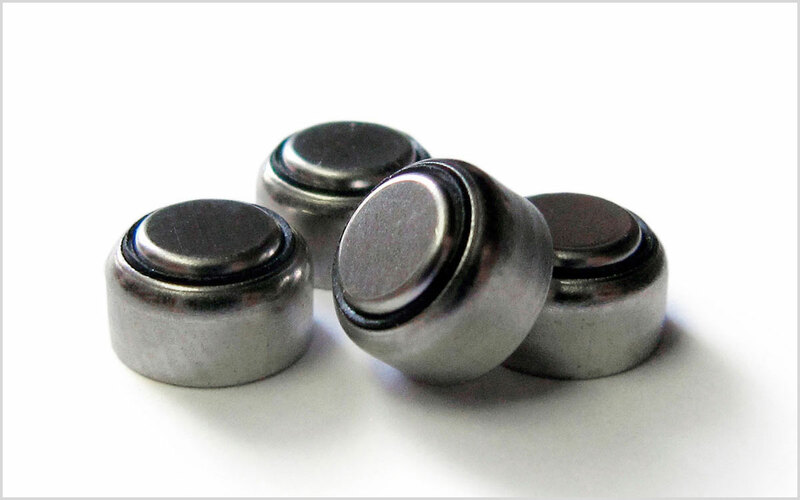 This gives the zinc time to activate, and can potentially help the batteries last longer. No matter how clean you keep your ears—and if you have difficulty hearing, you’re much more likely than the average person to stay on top of earwax—your hearing aids are going to accumulate dirt and debris. If you’re able to hear but sounds seem distorted or slightly off, dirt could be the cause. The fix: Clean ‘em out—and keep them clean! There are plenty of products on the market specifically for cleaning hearing aids, but you can DIY it with items you already have around the house. Once you’ve taken apart your hearing aids, use a soft, microfiber cloth (like you’d use to clean the screen of a computer or smartphone) to wipe down the components. You can help keep your hearing aids from attracting excess grime by practicing simple hygiene habits. Wash your hands before you handle your hearing aids, and leave them out while you’re doing anything—like washing your face, styling your hair, or even shaving—that might put them at risk of being spritzed, sprayed, or splashed. Moisture can wreak havoc on hearing aids, and it doesn’t take much to do so (think working up a sweat, not deep-sea diving). Even humidity in the air can be an issue, clogging up hearing aids’ air vents or causing batteries to drain more quickly. Depending on how much moisture’s gotten in, you may experience problems from sound distortion, static, to crackling. They may even seem to shut down. Make sure that when you store your hearing aids, the battery door is open; and if you’re taking them out for longer than overnight, remove the batteries completely. It takes almost zero effort and ensures that air can circulate—and any trapped moisture can escape. Store hearing aids in a cool, dry place. The bedroom’s a smart spot—skip the kitchen or bathroom. Even though the latter is convenient, the steam from a hot shower is exactly what you don’t want. If you live in a humid climate, you may want to consider investing in a hearing aid storage box. Pricier versions plug in, but less expensive options use desiccants or gels (yes, like those “throw away do not eat” packets you find in the box when you buy a pair of shoes) to absorb moisture. None of the above are working? It may be time to talk to a hearing specialist.